Get ready to explore a whole new galaxy. 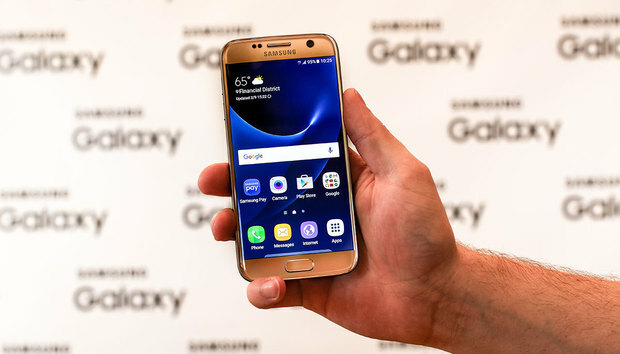 On Sunday, Samsung introduced the Galaxy S7 and Galaxy S7 Edge, the latest iterations of its popular Android-based smartphones. These new phones come with Android 6.0 Marshmallow, a refreshed design, new cameras, new innards, and all the bells and whistles you’d expect from a new smartphone in 2016. In addition, the company also announced the Gear 360, a small 360-degree camera. Like its predecessor, the Galaxy S6, the Galaxy S7 is based around a 5.1-inch Quad-HD 2560 by 1440-pixel super AMOLED display, which features 577 pixels per square inch. Inside, you’ll find a Qualcomm Snapdragon 820 processor running up to 2.15GHz. The Galaxy S7 also comes equipped with 4GB of memory (up from 3GB in the S6), as well as 32GB of on-board storage. Rumors had previously hinted that removable storage would make its triumphant return with the Galaxy S7, and sure enough, it’s here. Samsung’s newest offering supports MicroSD cards of up to 200GB via its new hybrid SIM tray, so you’ll have options should you outgrow the built-in storage. Flip the phone over, and you’ll find a new 12-megapixel rear-facing camera. According to Samsung, the S7 and S7 Edge are the first smartphones with “dual-pixel” technology built-in, which the company says will result in faster autofocus and better performance in dim light. In terms of power, the S7 includes a 3000mAH internal battery and supports wireless charging, though you’ll have to purchase the wireless charging station separately. Internally and externally, the Galaxy S7 edge closely resembles the Galaxy S7, but it features a 5.5-inch Quad-HD Super AMOLED screen (534 pixels per inch) and a larger 3600mAH battery. Like the Galaxy S6 Edge, the S7 Edge has a screen that wraps around the left and right edges of the phone so you can view certain bits of information from the side—useful if, for instance, you want to know who’s calling while your phone is face-down on your desk. The S7 comes in two colors, Black Onyx and Gold Platinum. A third color option, dubbed “Silver Titanium,” is exclusive to the S7 Edge. Samsung has yet to announce pricing for these new phones, but they’ll be available to the general public starting March 11, with preorders starting Tuesday, February 23. For more about Samsung’s latest releases, check out our hands-on impressions of the Galaxy S7 and S7 Edge. In addition to new phones, Samsung also introduced the Samsung Gear 360, a small, spherical camera that can shoot and record 360-degree views. The small, spherical Gear 360 camera. The camera is small—Samsung says it’s a bit smaller than a baseball—and it can record 360-degree Ultra HD (4k) video as well as capture 30-megapixel still photos. According to the company, you can view your 360-degree scenes on supported Galaxy phones, as well as using Samsung’s Gear VR virtual reality headset. Samsung expects to release the Gear 360 sometime in the second quarter of this year. Pricing has yet to be announced.